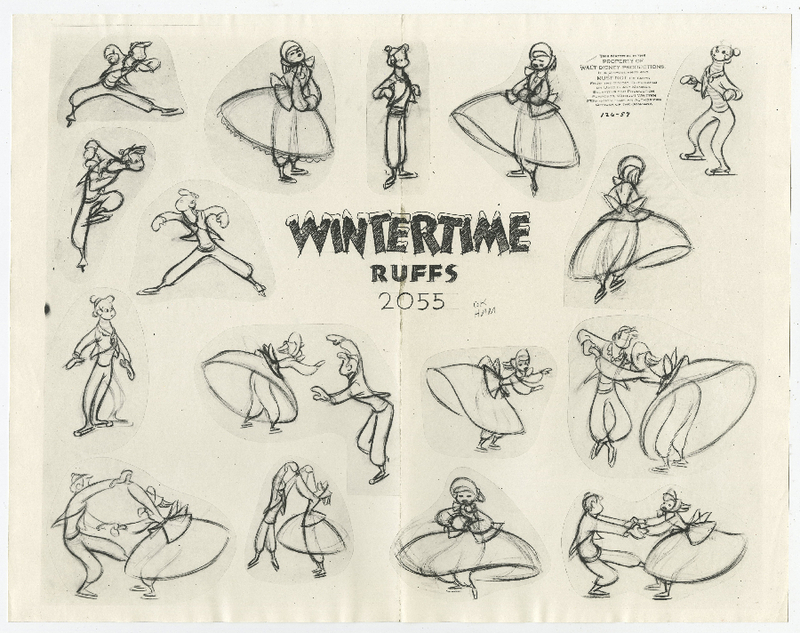 This is an original photostat model sheet from the Walt Disney Studios production of the Once Upon a Wintertime segment of Melody Time. 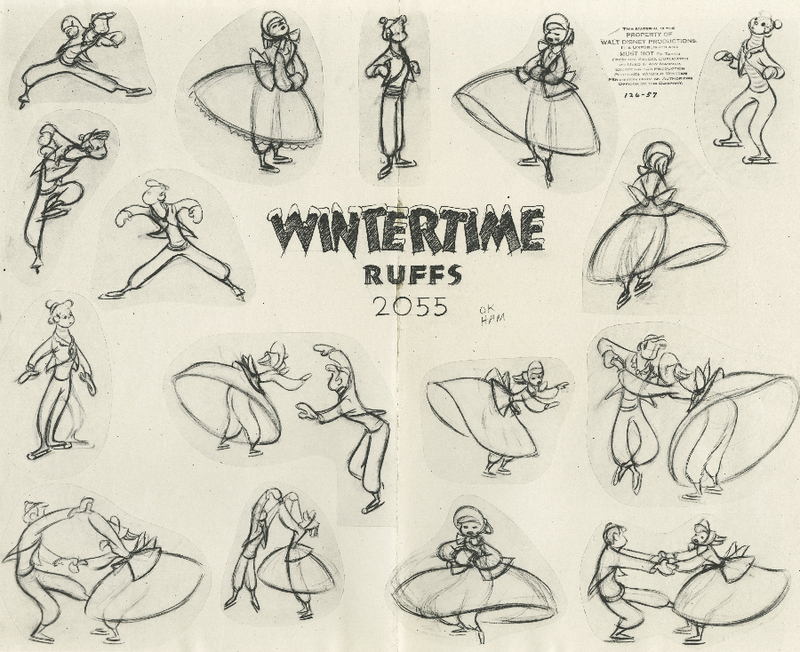 This model sheet features Joe,Jenny and was created at the studio and used by animators during production to ensure consistent character design. The sheet measures 11" x 14" overall and is in very good condition with a vertical crease down the center of the sheet and minor edge wear.